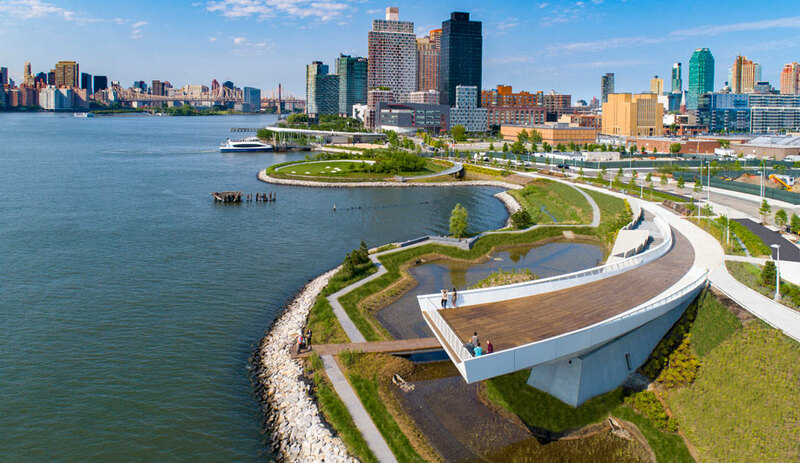 Investing in connectivity ensures urban resiliency, says WXY’s Claire Weisz, whose repertoire includes cut-throughs, boardwalks and one spectacular salt shed. 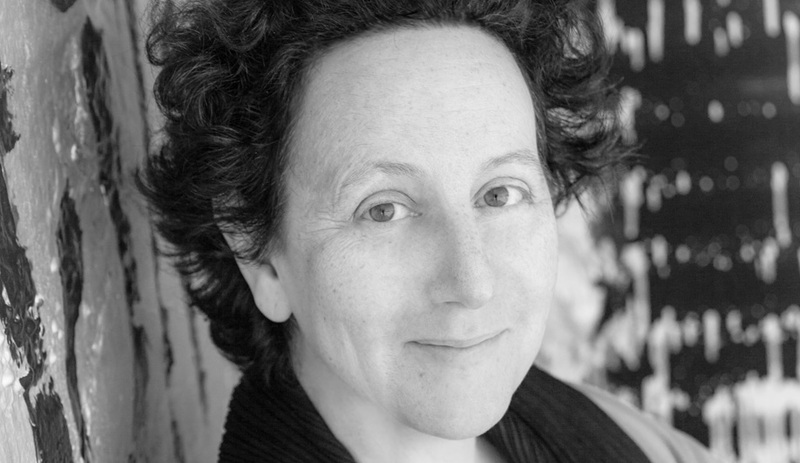 All architects, she tells Elizabeth Pagliacolo, should make it their business to inspire. Since Canadian-born Claire Weisz co-founded WXY with her husband, Mark Yoes, in 1998, the multidisciplinary New York firm has built a reputation for ingeniously reviving derelict public spaces and creating bold new ones in its home city. 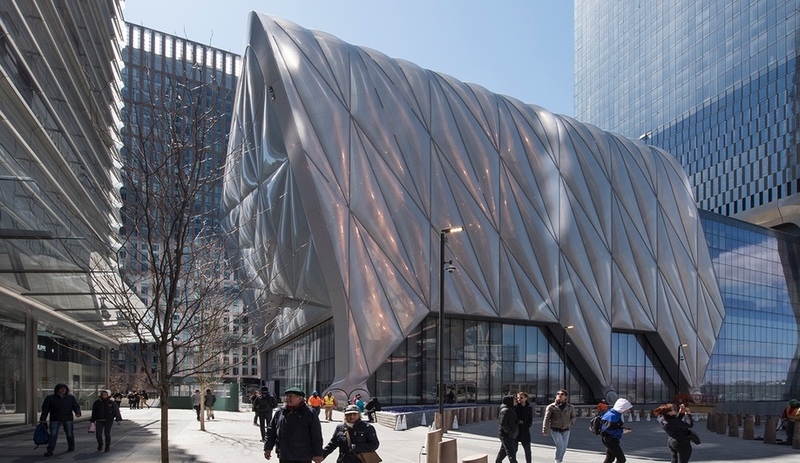 Its designs for the unusually sculptural Spring Street Salt Shed and the Manhattan District 1/2/5 Garage (both with Dattner Architects) prove that even the most utilitarian municipal buildings can inspire a sense of awe and civic pride. As a former co-executive director of the Design Trust for Public Space, Weisz also played a pivotal role in bringing the High Line to life. But some of the architect’s most important work has been in both studying and creating social housing. Her firm’s current projects – such as the redevelopment of neighbourhoods including Hunts Point, the Brooklyn Navy Yard and Sunset Park – all integrate Mayor Bill de Blasio’s city-wide jobs initiative to grow New York’s manufacturing sector while building resilient, affordable mixed-use communities. Azure caught up with Weisz in her Lower Manhattan studio to discuss the thinking behind WXY’s work in housing and public space, the High Line effect, streetscape editing and what architects can do in this era of political polarization. In the end, she asked as many questions as we did. 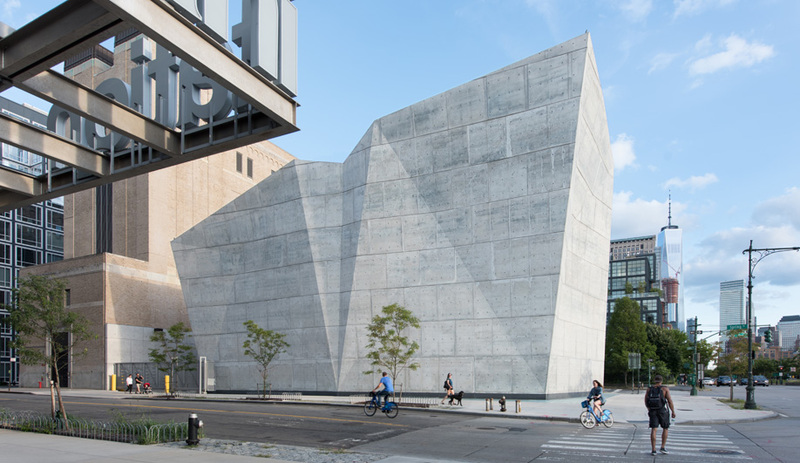 Created by Dattner Architects and WXY, New York’s Spring Street Salt Shed is a reminder that even utilitarian buildings can be extraordinary. The concept of the “open city” has been much discussed of late. It’s implied in the theme of this year’s Venice Architecture Biennale and the subject of a new book by Richard Sennett. In this issue, we also explore how cities are becoming more open – or not – to refugees, young people and others. What are the qualities that, to you, make a city “open”? The vibrancy of a city comes from its open qualities, some of which are organizational and political – [when] people feel that they have a say, that they can protest issues in public space, that they have choices over which library or café to go to. But it is also about good public infrastructure, both in terms of new developments and preservation. Cities are much more successful when they’ve created greenways, bikeways and busways that cut through various neighbourhoods while also bringing neighbourhoods together. Atlanta’s Beltline is a really good example of that. You see skateboarders meeting someone walking home after work, meeting someone pushing a stroller, meeting someone who’s drinking a beer at a restaurant – all in a place where, historically, freight trains once operated. Given how cost-prohibitive it has become to live there, how open a city is New York? One of the reasons people still move to New York despite its expense is the access to opportunity. One of my favourite moments in New York is the Midnight Moment, when an artist takes over most of the screens in Times Square for 10 minutes, documenting life and activity there at that time. I think that kind of idea is, like the song about making it in New York, translated in a thousand different ways. Cities that have this level of open access to resources and amenities through public space are cities whose systems work better because of that transparency. You were an early advocate for New York’s High Line, an example of great urban design now being replicated in neighbourhoods around the world. But it’s also a project that has been criticized for increasing adjacent property values. There’s a phenomenon that’s just as true of subways as of open space: any improvement in infrastructure – and I regard public space as a kind of infrastructure – means that housing is going to be less affordable near an asset than away from it. So we have to recognize that and support affordable-housing security in particular. By the time the High Line was under construction, galleries had already changed West Chelsea. So while there may have been less direct residential displacement, property values have risen, putting pressure on adjacent neighbourhoods. In hindsight, the value was there, even though no one believed it at the time, so the chance to retain more legacy uses, subsidize more affordable housing and pay for the upkeep of public space was lost. 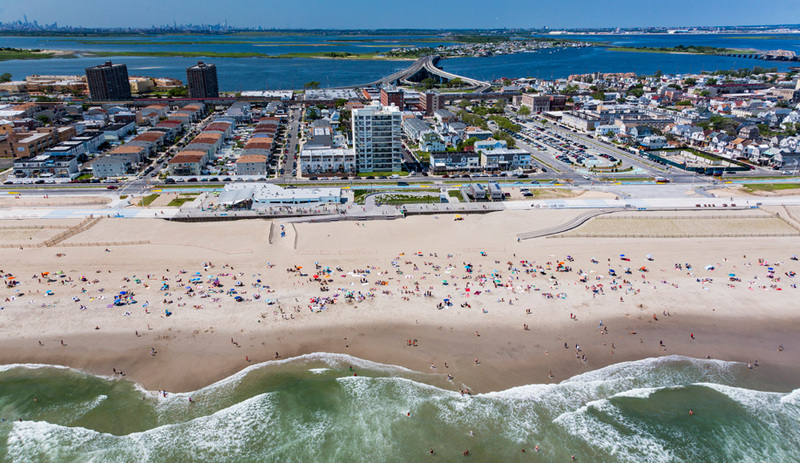 Last year, WXY’s rebuild of the Rockaways boardwalk in Queens, a project commissioned in the wake of Hurricane Sandy, was completed. As infrastructure, it would seem to have some affinities with the High Line. Each community totally benefits from the idea of a High Line, a connected pedestrian promenade that gives you visual access to your context, your place. The Rockaways had always existed, like the High Line did, except the Rockaways had their own unique qualities by being on a beach. But they are also urban, so it was important to design for that area in a way that played up its context. The project has resulted in higher health metrics, community stability, cohesion. People are coming back to the beach. In general, investment in connectivity is investment in neighbourhood resiliency. How can public space be created without basically telling people that they can’t afford to live in their neighbourhood anymore? Limiting opportunity is not the answer to gentrification. But what you don’t want is displacement. When you improve conditions, you have to make sure that there’s housing policy in place to ensure people can stay in their neighbourhood. 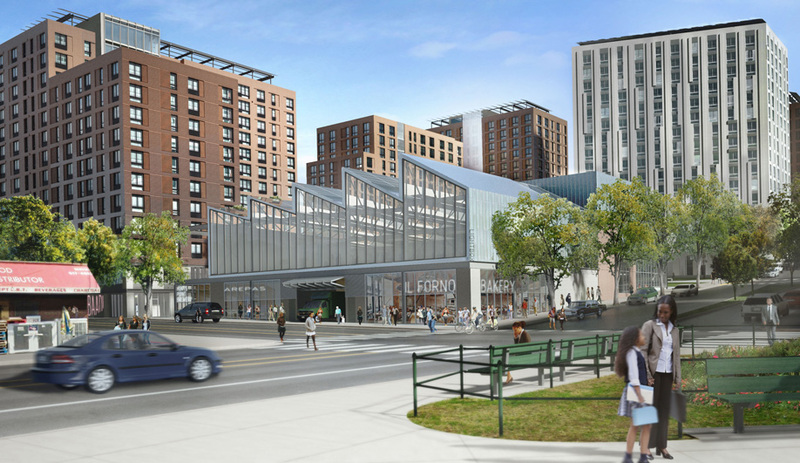 Located in the South Bronx, the Hunts Point project will integrate affordable housing with access to nearby jobs. You’re working [with Body Lawson Associates] on the Hunts Point development in the South Bronx, where a former juvenile detention centre is being reimagined as a multifaceted live-work campus known as the Peninsula. With that project, affordable housing and access to jobs go hand in hand. Is this a new model for successful housing developments? Hunts Point is a development in three phases, with five buildings and a new public realm, in one of the region’s poorest neighbourhoods. The model there is really a reboot of an old urban model, in which people lived above stores or down the street from a factory. These days, how do you make a development where work opportunities are integrated? How do you recreate a mixed-use city? Hunts Point is home to the largest food terminal in the world, and those fish, meat and produce markets are basically the lifeline of New York. The first phase of buildings will be 100-per-cent affordable housing. At the buildings’ ground level are conventional job and culture-makers – arts and dance companies, pre-K nursery schools, health clinics and grocery stores – but also a light-industrial food production [centre] and a film and television production facility that add different kinds of jobs to the mix. You had a role in developing Hunts Point from the outset. Is planning as well as design becoming a specialty of your firm? 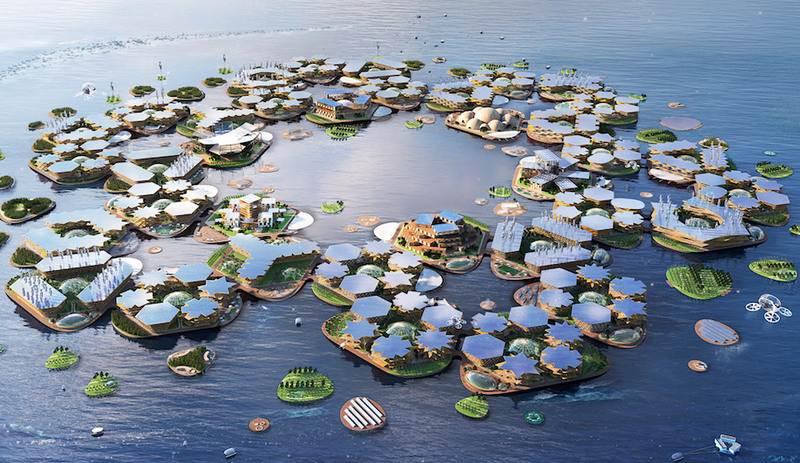 And how can this become a model that more architects take on? Traditionally, architects have been on the supply side, working on something that’s already planned. But by having an office that does both planning and design, you can also work on the demand side of the equation. You’re working on projects that we used to call master plans, but that I now call framework plans, as in setting up a framework for more of the right kinds of commissions and opportunities to happen. You’re creating the right kind of demand for public space, for openness, for better economic situations for people, for more natural habitats. 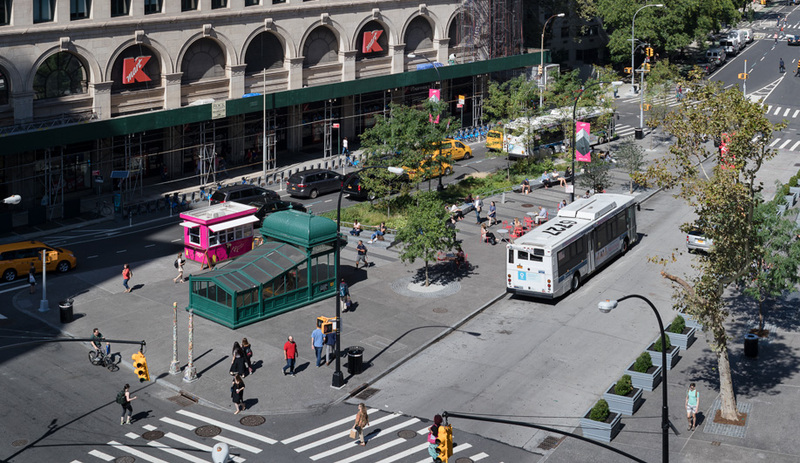 WXY recently completed two more public-space projects in New York – the redesign of Astor Place and the West 215th Step Street reconstruction. How are they improving the city’s fabric? Astor Place has made a new kind of plaza in what was the middle of the street, and added green infrastructure to a place that was all pavement. And then we made more space around Cooper Union, NYU and a bunch of different universities and high schools – an unofficial campus that uses Astor Place as its front door. Now you can actually walk and see views you didn’t see before. In a lot of ways, it’s just like having clothes that fit better. It was like editing the existing streetscape. 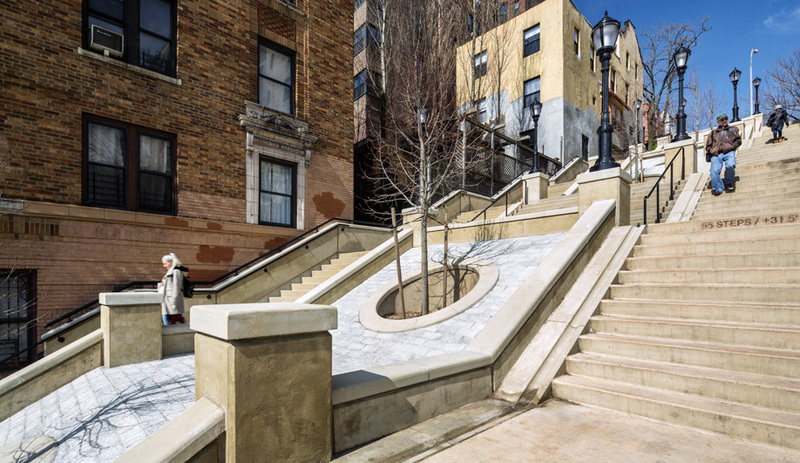 Inspired by Montmartre in Paris, WXY’s redesign of the West 215th Step Street in Manhattan turned a blight into a boon. West 215th was an existing step street that was falling apart. In rebuilding it, we used stairs as seating, turning it a little bit into Montmartre, where you have cobble and trees at the centre. It’s a hardscaping thing, the way in Montmartre you’d see the cobble streets going straight up. There’s a huge amount of potential in cut-throughs, lanes and other in-between spaces. Given the polarization we’re seeing in American society, how crucial is the creation and maintenance of vibrant public spaces? One wants to live in a world where people talk to other people and see that as something they remember positively. Therefore, public transit, festivals, parades, concerts, beautiful parks, great bike paths and not living in fear really work hand in hand. In times of stress, you really see the importance of places of exchange, which generally are outside of doors that can be locked. People ask me, “Aren’t malls public spaces?” Well, they are spaces the public can go to, but any space where someone can lock the doors isn’t necessarily one everyone feels welcome to. In fact, this is the discussion people are starting to have about places like Starbucks substituting for libraries. With a library, you know what the hours are, you know you can always use the public washroom, you can even in many cases have coffee and socialize. But there aren’t as many of them as there used to be. You have said that architects are the best advocates for public space. Why? Architects are sometimes only concerned with their own projects. But any project that has an outside can contribute to public space. Even if you’re a hotel designer, when you design a lobby, you’re contributing. 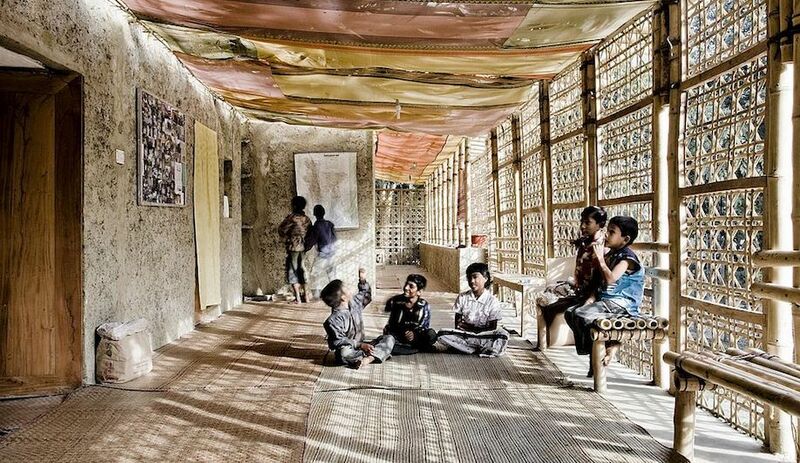 So that’s why I say architects are the best advocates – because they’re the ones holding the pencil. They don’t even have to attend a meeting. An architect who’s designing something is an advocate for public space – if it’s part of how he or she thinks.